A large 8x6mm emerald-cut garnet gemstone and diamond ring crafted in 14k white gold with 42 white diamonds weighing a total carat weight of 0.32 carats. The diamonds are full-cut, high qaulity G-H Color, I1 Clarity stones. The center gemstone is a high quality, "AA" rated red Mozambique genuine garnet. Band measures approx. 1.7mm width and top height of setting is 6.35mm. 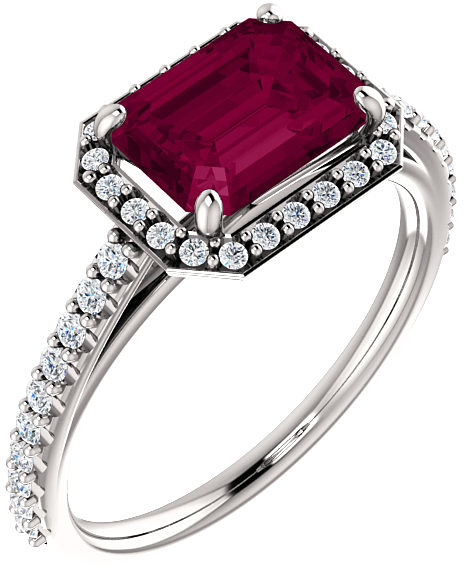 Is your favorite gemstone not listed? Contact us for customizations. Available in your choice of 14k or 18k white gold or platinum. 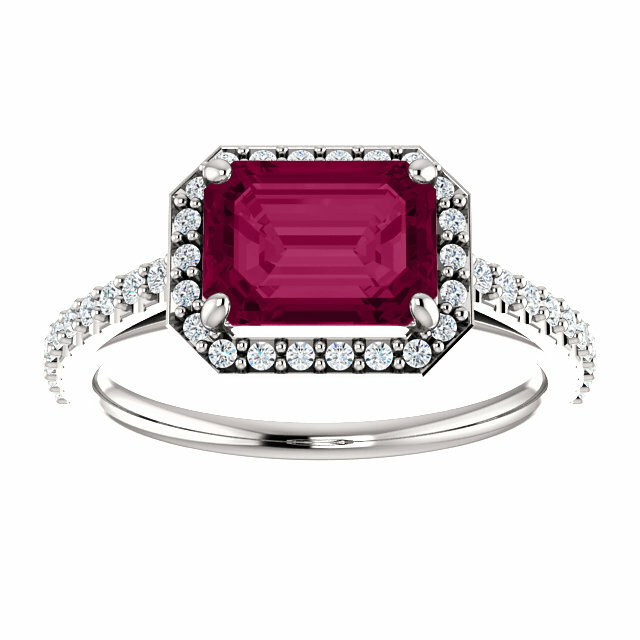 We guarantee our 8x6mm Emerald-Cut Garnet and Diamond Ring to be high quality, authentic jewelry, as described above.